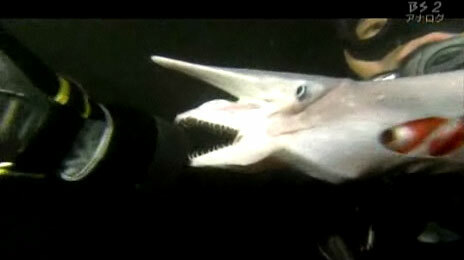 This creature of the deep sea is known as the Goblin shark. They can be found all over the world, however, they are best known for inhabiting the deep waters around Japan, where they were first discovered. Their unusually long snout is one of the easiest ways to tell the shark apart from other species. However, the Goblin shark’s mouth is what most people remember. The Goblin shark hasÂ protrusible jaws which allow it to extend its mouth outward, something no other shark can do.